Hit Google Search with “interview questions for a potential doula” and lots of lists appear. As a doula in NJ for the last 10 years, I have answered them all. Last night my friend asked me for pointers on interviewing a doula. She doesn’t live in NJ anymore and I didn’t have an associate to recommend in her area. She had set up some interviews with local gals and was getting excited to start the process. She found a standard list of questions online but wanted my ideas as an “insider”. I thought about it for a few seconds and replied, “scrap the list!”. Here are 5 better questions. Better Questions to Ask a Potential Doula. Are you available for my due date? Do you cover my hospital? Do you come to my home when I’m in labor or do we meet at the hospital? What is your fee? What does that include? If these are answered satisfactorily, then schedule an in-person interview. Which brings us to the list! Scrap: Are you Certified? There are so many ways to certify and so many certifying organizations with differing criteria, this is becoming irrelevant (cue the negative doula comments). Some doula courses are in-person, some are online. Some doula courses are 1 day, some are 4 days. Some require 3 births, some require 5, some require none! The Better Question Is: How did you train to become a doula? How did it prepare you for this work? Think in advance about what answers will make you feel confident in their doula skills. My birth doula had never attended a birth. Except her own. She had given birth 3 times and was a massage therapist. This met my criteria. Scrap: How many births have you attended? I have mentored doulas over the years and now have a great staff of doulas working for me. I have worked with doulas who have arrived at their first birth and ROCKED IT! I have worked with doulas who have attended 25-50 births and when they arrived it seemed like they had never seen a woman in labor before. The Better Question Is: Can you give me examples of how you would support me if these scenarios happened? List your own scenarios, because those are the scenarios you will manifest. Yes, it’s true. Didn’t you read The Secret? (and a BIG you’re welcome! to The Secret on amazon) They should be able to give you specific examples of how they can meet your needs. Take my GentleBirth Class so you can learn how to have a positive birth experience no matter what birth throws at you. Scrap: How many clients do you take each month? Do you have back-up? Every doula will answer with a number and ideally a “yes” to the back-up. Who cares? I have had clients with due dates 4 weeks apart give birth within 24 hours of each other! The Better Question Is: If I am in labor at the same time as another client, who is my secondary doula? Will she know she is on call? This one is critical! I am the doula who got a call from a client in labor, who wasn’t my client. The couple told me I was their back-up doula. I had no idea I was their back-up doula. Fortunately, I had declined an invite for drinks with my hubs and his BFF, just 2 hours prior. (I wanted to watch ER). Many doulas have informal agreements to back each other up. Make sure yours has a formal one. Scrap: What is your philosophy about birth and supporting women and their partners through labor? Who cares what her philosophy is? If she is a good interviewee, she already has a set answer for this. You are hiring her to provide a service. A VERY PERSONAL SERVICE. The Better Question Is: Can you tell me about a time that a client made a decision you didn’t agree with? Gauge her response carefully. Is she able to separate her own feelings? Does she sound judgmental or disappointed? She shouldn’t. This is your birth and her primary role is to provide emotional, physical and educational support. If you are making an informed decision she is being paid to support it. Scrap: Do you get along with my caregiver? Have you worked at my delivery location? This should have been asked in your initial interaction. The doula should always ask where and who in the initial phone call. If it is a provider or hospital they have chosen to stop working with, they should be up front about it. The Better Question Is: I am with MW/OB “X” and delivering at “Z” Hospital. Do you have any positive or negative experiences you can share? Doulas love to share. A LOT. Gauge her response and decide if it is cause for concern about your provider or cause for concern about her. Is she offering evidence-based information? If you are with a notoriously bad hospital or provider, she should be able to provide evidence. You should then do the research and come to an informed decision. After she leaves check how you feel. Are you both excited? Do you both feel empowered? Do you both feel ready to share the most personal experience of your lives with her? Remember, the most important thing about your doula is how she is going to make you feel and provide support for you and your partner. 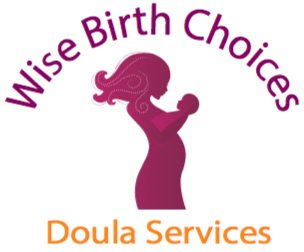 Set a complimentary consultation with the Wise Birth Choices Doulas. They all answered these questions to my satisfactions first! I know they will provide the most positive experience possible for you and your family. Message us here or call/text 732-754-9551 to schedule.